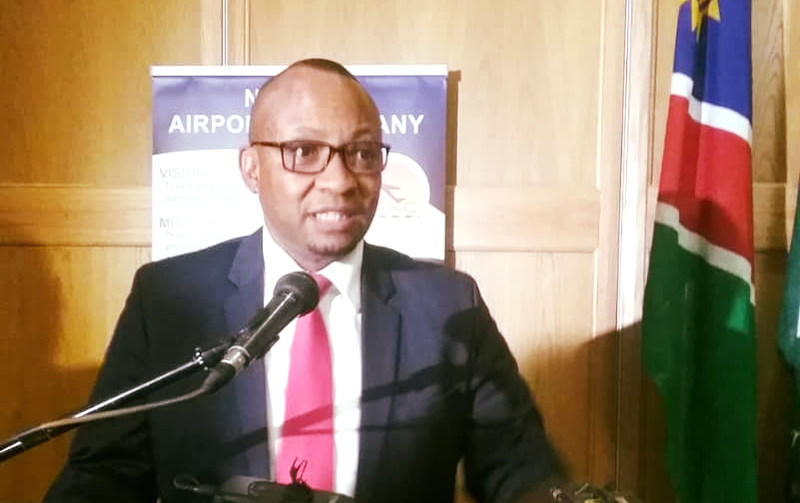 THE outgoing Chief Executive Officer of the Namibian Ports Authority, Bisey /Uirab was officially appointed in the same position at Namibia Airports Company following a directive by Cabinet on Tuesday. The NAC did not have a substantive CEO for the past two years and the board chose /Uirab from a shortlist of three after an extended process to find the correct person for the position. The Minister of Works and Transport, John Mutorwa said during the official announcement that the newly appointed CEO will, at the invitation of the board participate in discussions at board meetings but is not entitled to vote at any meetings. He will however be accountable to the board. Minister Mutorwa at the same time expressed concern over prolonged periods of suspensions of senior staff members with pay, citing that the NAC has over the recent years been marred by this phenomenon. “The suspensions of people in this company without disciplinary hearings have costed this company a lot of money. If suspensions are to be made, formulate the charges immediately and set a disciplinary hearing to deliver a verdict on whether or not the person is guilty. We should not punish people and not follow due process,” Mutorwa said adding that service delivery is compromised as a result. Public Enterprises Minister, Leon Jooste, warned against infightings between boards of state owned enterprises and their CEOs, adding that quality and integrity should be the drive in the NAC. He added that soon, a performance management system will be implemented to determine the performance of staff on key indicators, including management. NAC board Chairperson, Leake Hangala, introduced Uirab to NAC staff members in Windhoek before he officially assumes his duty as the NAC’s CEO on May 1. “Uirab is no stranger to the transport industry and his vast experience and track record in the sector will greatly benefit the NAC. His focus will be to provide leadership to the NAC by stabilizing the organization, its operations and creating value for its brand,” Dr. Hangala said. 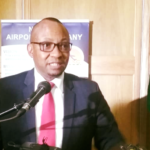 Namport Board of Directors announced the departure of Mr./Uirab as its Chief Executive Officer at the beginning of February and said that Mr /Uirab diligently steered the Ports Authority from a fairly medium sized Public Enterprise into the regionally acclaimed logistics and maritime industry leader which it has transformed into.